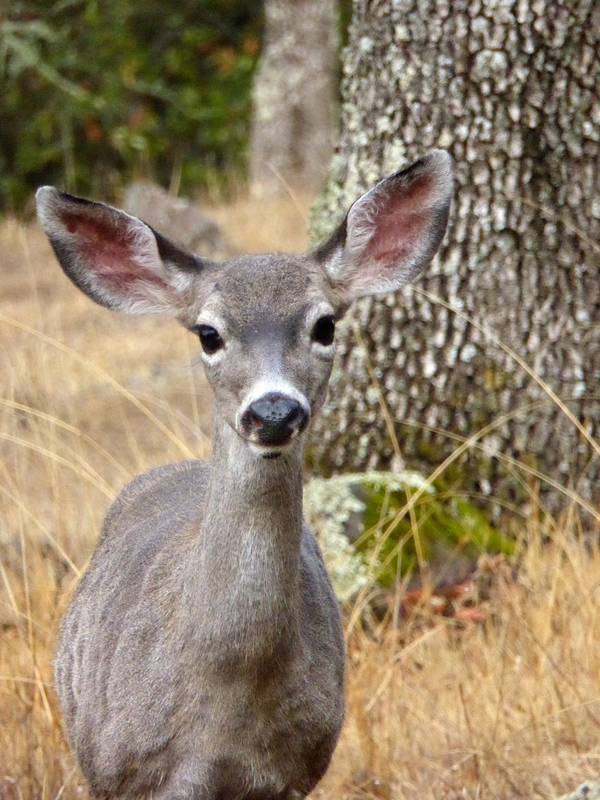 California Mule Deer can be frequently spotted both on the trail and off at all times of year. However, times when there are fewer hikers such as during rain storms you are more likely to see them out and about. They will tend to spook when you approach, and bound off up or down the hill, but if they are some distance away they may continue about their business. They are frequently seen in small groups. In the Spring, look for spotted fawns. 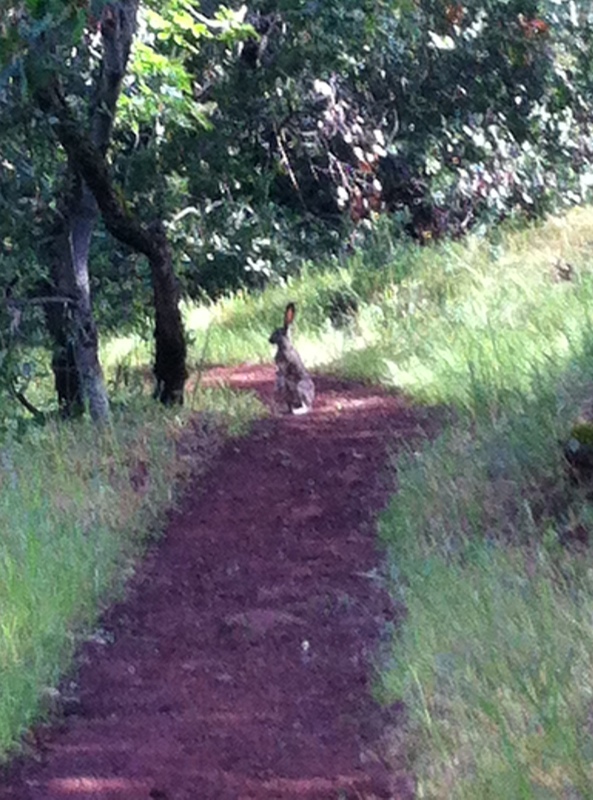 Such a sighting led to the naming of the Spotted Fawn Trail on the Montini Open Space Preserve. Squirrels are prevalent along the trails. 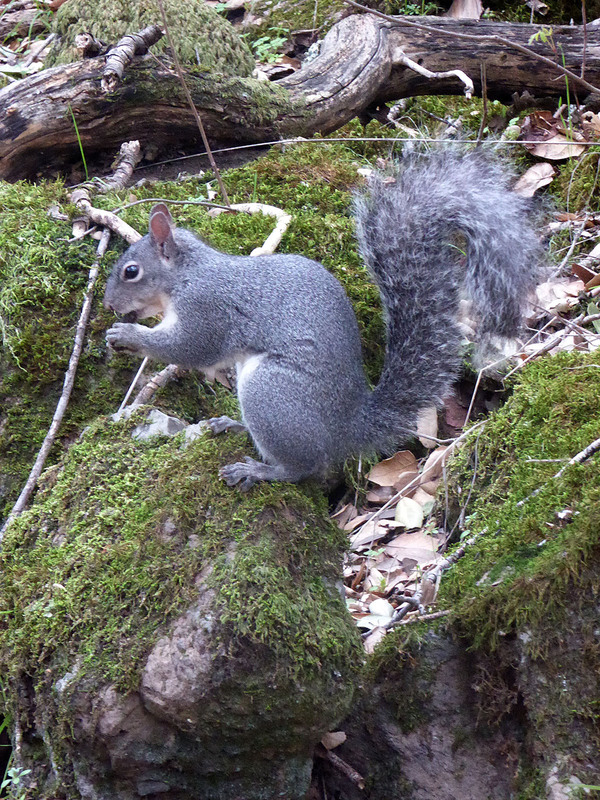 Western Gray Squirrels are often spotted along the trail and can be almost comical in their running up and down trees, gnawing on acorns, and generally scurrying around. They will sometimes allow you to take their picture up close and personal, especially if you have a camera with zoom capabilities. Squirrels help to plant trees, as they put acorns into the ground that are not always fetched for eating, which end up growing into new trees. Rattlesnakes are also a part of this environment. I encountered one on the day that I am writing this, although it is rare. Some summers, after hiking the trail almost every day, I see none. And other seasons I encounter a rattlesnake once or maybe twice. Just be careful, particularly in the spring. 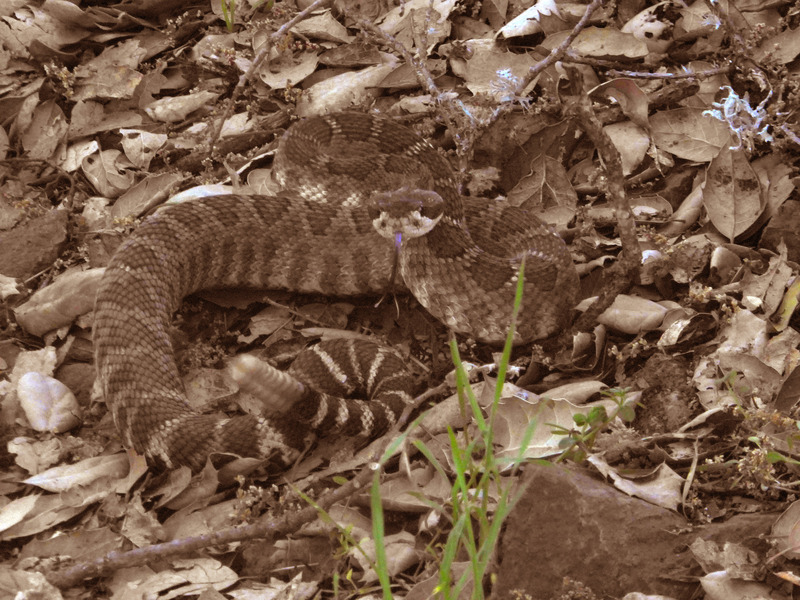 If you encounter a rattlesnake, simply back off and leave it alone. It doesn’t want to encounter you any more than you want to encounter it. 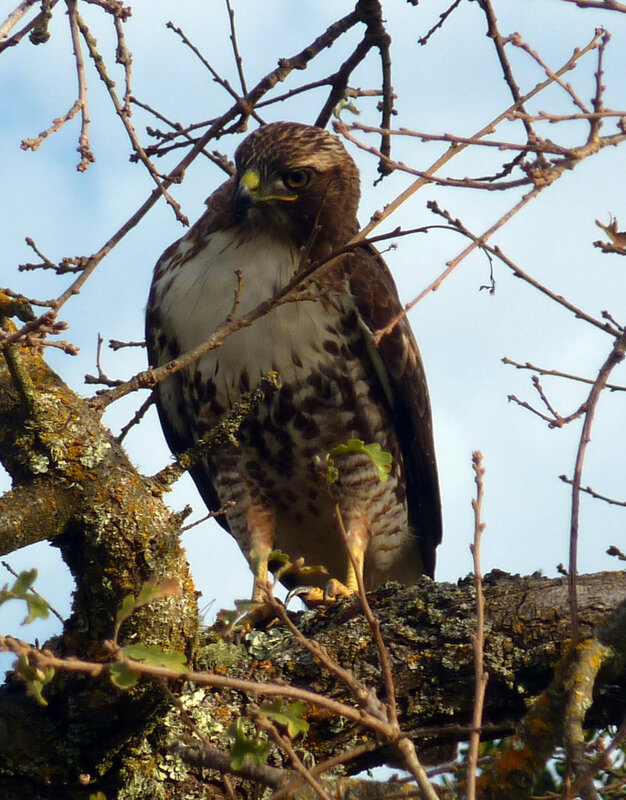 Red-Tailed Hawks and other bird predators can be seen. Listen for the characteristic scream of the the Red-Tail as you hike. They are beautiful in flight, with their red-pinkish tails backlit by the sun. If you are really lucky, you may see one carrying its prey — perhaps a field mouse or a snake. See our Checklist of Seasonal Birds for a more complete list of the birds you can see along the trail. 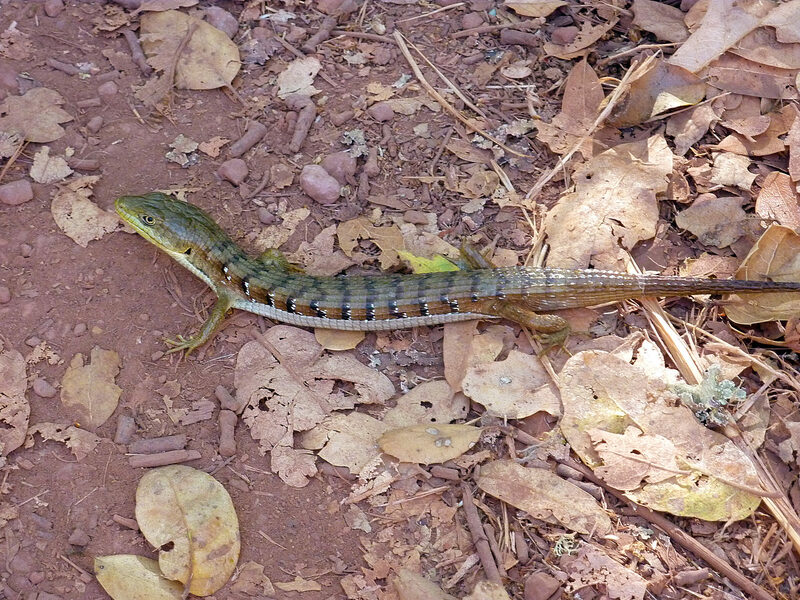 There are many varieties of lizards that live in the area and they can often be seen scurrying across the trail. The California Alligator Lizard (pictured) is one of the easiest to spot given its rather large size and colorful pattern. John, right you are! I fixed it.